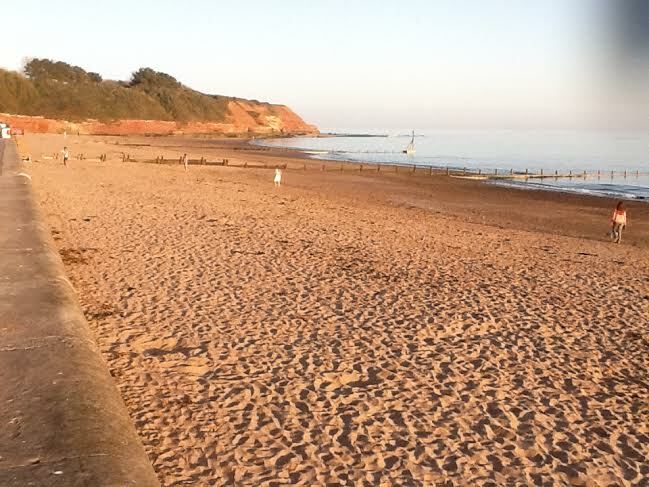 As the end of another summer term and another academic year approaches we know that English Departments are always thinking of ways in which students can be encouraged to widen their reading over the holiday period. So, here are 6 ideas that make use of the Poetry By Heart website, inviting students to explore the online anthology of 200+ poems and preparing them, we hope, for enthusiastic participation in the 2015 competition. Yes, really. Just listen to a poem. Go to the Poetry By Heart website and click on ‘A selection from the finals’. Sit back and enjoy the eight videos of last year’s competition finalists reciting poems. 2) Listen to some more poems! Explore www.poetryarchive.org and find a remarkable archive of poets reading their poems and also contemporary poets reading classic poems. – type a random word into the search box in the top right and see what comes up. – make a short film, inspired by the poem. Write a poem in the style and/or form of one of the poems in the anthology. For example, there are 17 sonnets in the anthology. You can find them by simply typing ‘sonnets’ in the ‘search this site’ box on the homepage. Write your own sonnet and when you are happy with it see if you can learn the 14 lines by heart. This is a challenge but might be easier than you think. Choose a poem from the Poetry By Heart Anthology and learn it off by heart. Use the ‘Poetry recitation – developing a strategy’ document from the ‘Resources and Downloads’ section of the website for some top memory techniques. Entertain your family and friends by reciting your poem and challenge them to learn one too! If you enjoy these activities get involved in a Poetry By Heart competition at the very start of next term at your school/college and be in with the chance to win a weekend in London! You will need to learn two poems from the Anthology in order to compete – one from before and one from after 1914 and you will need to be aged between 14 and 18. Check out those videos of last year’s winners for inspiration and remember that judges will be looking not for the best actor but the reciter who can really share an understanding and heart felt appreciation of their chosen poems with an audience. Full details of the competition can be found at www.poetrybyheart.org.uk or by emailing the Poetry By Heart team info@poetrybyheart.org.uk. You can also follow us on Facebook https://www.facebook.com/poetrybyheartcompetition and Twitter @poetrybyheart or give us a call on 0117 9055338. 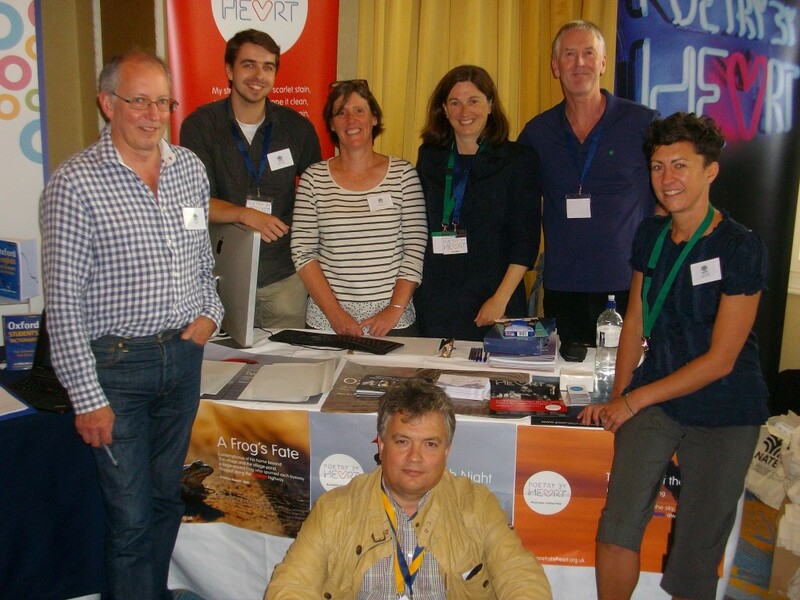 Poetry By Heart team member Mike Dixon reports on the launch of Poetry By Heart 2015 at the NATE conference in Bristol – June 27th to June 29th 2014. The magnificent Palm Court within the Bristol Marriott Royal hotel was the setting for the launch of Poetry By Heart 2015 on the second day of a superbly organised and stimulating NATE conference in Bristol. To have an opportunity to talk about the aims of Poetry By Heart with colleagues from so many different parts of the English teaching sector was invaluable and to be able to enjoy entertaining and thought provoking talks by the likes of Michael Rosen, Anthony Wilson and Christopher Edge, to name but three, was a delightful bonus. The Poetry By Heart team had hoped for a good audience, cunningly staging the launch immediately after a mesmerising reading by poet and Poetry By Heart judge Patience Agbabi of extracts from her new, Chaucer inspired book, “Telling Tales”. And in a belt and braces approach to attracting a sizeable audience we also tempted delegates with the offer of a glass of refreshing, pre-dinner wine. Even so by the 6.30pm start time of the launch we were still overwhelmed to see more than 150 delegates had gathered to hear more about the competition and to enjoy some recitations. Inspirational co-founders and co-directors of Poetry By Heart, Julie Blake and Sir Andrew Motion talked about the ethos behind the project and the way in which more and more schools and colleges of all kinds are embracing the competition. Sir Andrew recited a Hardy poem for the audience and read one of his own hauntingly beautiful recent poems, ‘The Fish in Australia’ which can be seen in the Poetry By Heart online anthology.